Right ascension: 2h 22m 51s Declination: +42° 22' 4"
70x45s frames. 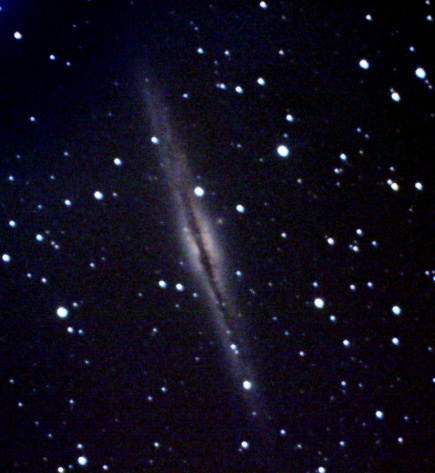 Captured in K3, debayered in AVIRaw, stacked in Registax, curves in photoshop. Everything went wrong trying to take this. Even Autostar decided to start operating in a world of its own. Very pleased to finally get this image of 891... came out a little better than I expected.